We've just installed this carpet at Sycamores House in South Hadley, Massachusetts. It was a delightful, but challenging project. The house was built in 1788 and has served as a dormitory for students at Mount Holyoke College from 1915-1972. It's now a museum, and has been undergoing a painstaking restoration. It was determined that this room would be interpreted to the late 19th century (it still has very early woodwork, but has a Victorian hardwood floor and furnishings. 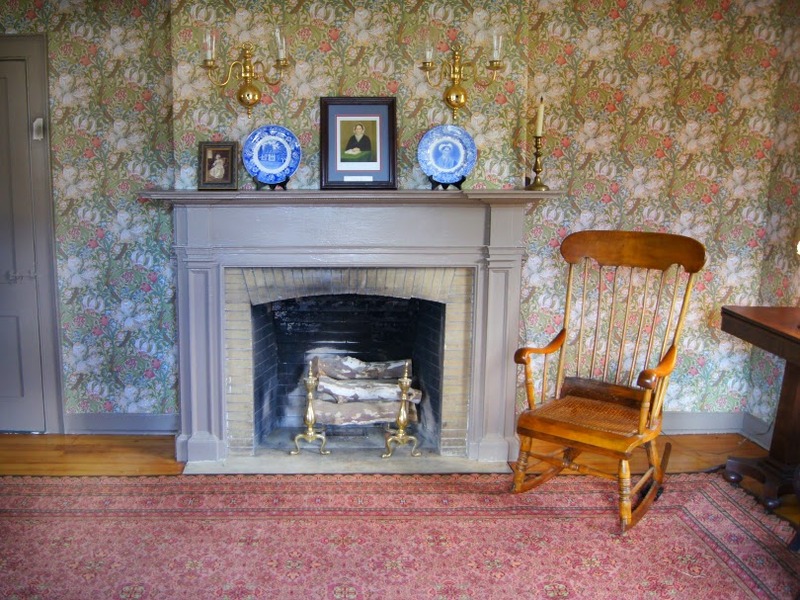 A benefactor donated William Morris wallpaper, and we were asked to provide a compatible area rug. A late 1870s historic carpet pattern, one that draws inspiration from oriental carpet designs, was selected by committee, and we assisted them in recoloring it to be more sympathetic with the exiting wallpaper and woodwork. If you have a historic house or museum in need of historic carpet, please contact me.